Christmas wouldn’t be the same if not for our loved ones. When I think of Christmas, it always involves my family, friends, and the husband I built such a wonderful life with! 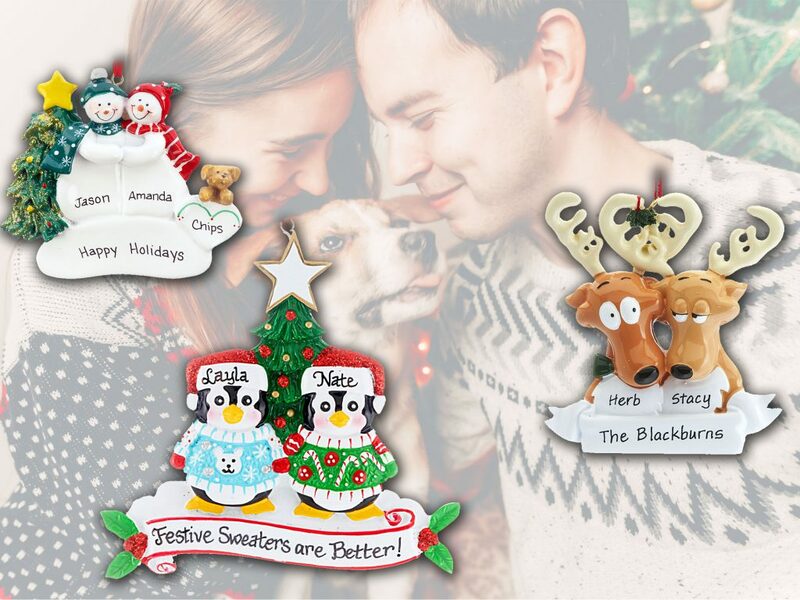 If you feel the same way about spending the holidays with your partner, personalized Christmas ornaments help capture your special memories together year after year. No Christmas is quite like another. We take vacations, meet new people, and grow the family with new pets and maybe even new children. 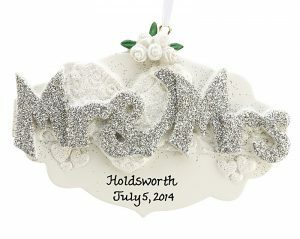 You can have your couples ornaments personalized with special messages and dates to help cherish the good times. Ornaments also help form traditions in your family. When decorating the Christmas tree each year, you’ll bring out your couples ornaments while giggling together. I’ve selected some of the best couples ornaments available among our 5,000 ornaments, but be sure to also look around for yourself! 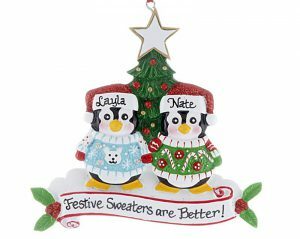 If you’re looking for a cute and memorable Christmas decoration, then funny couples ornaments are perfect. The Pond Frog Couple Ornament is a similar animal ornament for couples. We suggest personalizing it with an adorably funny saying such as: “Mistle Toads.” If you’re more interested in cute little turtles, our Turtle Couple Ornament contains a little jingle bell on the bottom. One of my favorite funny couples ornaments is the Reindeer Family of Two. You can find this ornament with little reindeer, too, for the whole family. The little mistletoe above the husband reindeer has the wife reindeer ready to give a kiss! 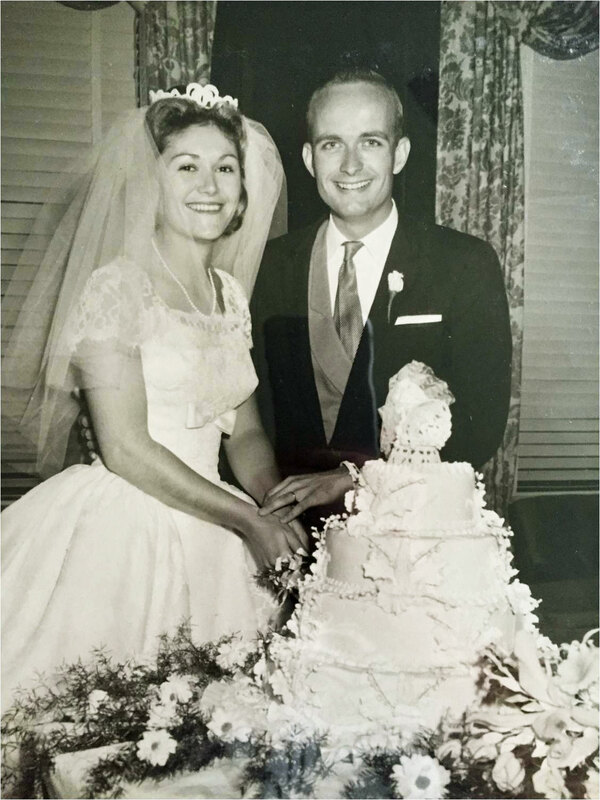 Many married couples love collecting ornaments, whether it’s their first Christmas together or their 25th anniversary. When first married, “Mr. & Mrs” couples ornaments are very popular. We recommend personalizing “Mr. 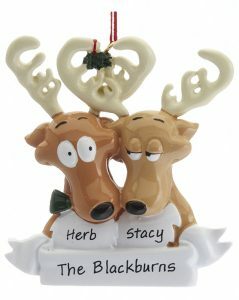 & Mrs.” ornaments with your family name and your wedding date! We all have uniquely special families. Couples who have dogs often treat their furry friends much like children. Couple with dog ornaments are very popular, and rightly so! I couldn’t imagine Christmas without my little companion, either. We have a wonderful go-to Couple and Dog Christmas Ornament, which can match many types of floppy eared dogs. The tan dog’s name tag can be customized with up to five letters and names can be places on both the man and woman. Our Fireplace with Two Stockings and a Bone Ornament can fit all couples with a dog. The dog bone is perfect to represent your pup and gives a wonderfully themed Christmas background with a red fireplace and green wreath! If you have multiple dogs, you can fit both on one ornament! Whether you have two black dogs or two tan dogs, browse your pet ornament options and find the perfect ornament to match your little family. Our wreath ornament can fit up to 7 pets! Many of our ornaments offer white, black or tan dogs options so that you can customize the color of your dog. Did you find the ornament you were looking for? Tell us your favorite type of couples ornament below! Proud Owner of OrnamentShop.com. I’ve been in the business of buying Christmas decorations and gifts since the early 1980’s. 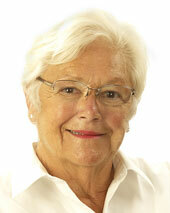 Our web site, OrnamentShop.com, was launched in 1999. 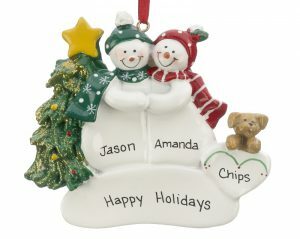 Now, 20 years later, we’re proud to say we’re the largest seller of personalized ornaments on the Internet!